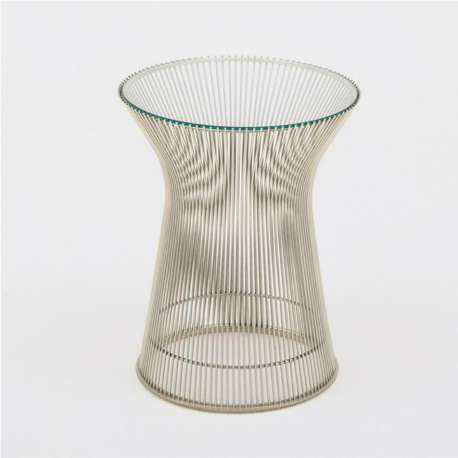 Buy Knoll Platner Side table by Warren Platner, 1966 - The biggest stock in Europe of Design furniture! 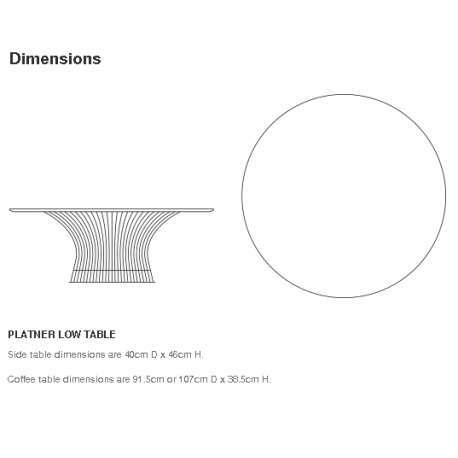 The Platner Side Table (diameter 40 cm) is part of the unique furniture collection with soft and elegant shapes, designed by Warren Platner in 1966. 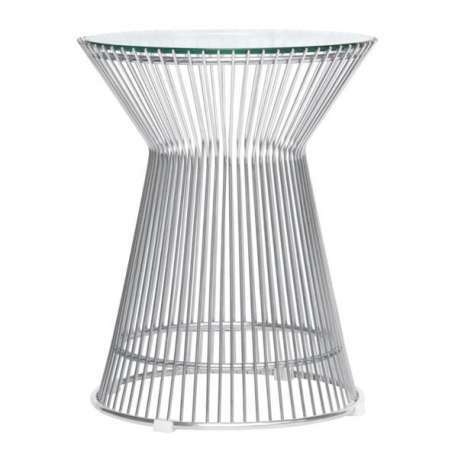 The complex design of the Side Table is an example of innovative production techniques, created by welding hundreds of curved steel rods to circular frames. 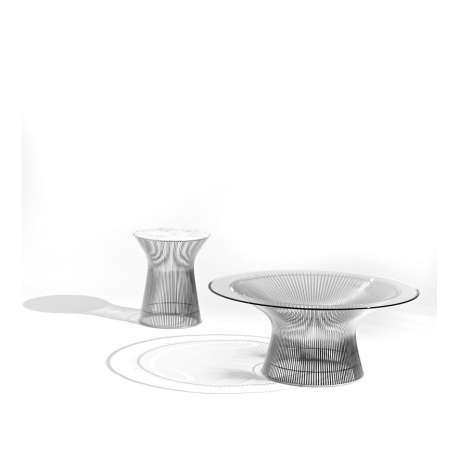 The iconic Platner Side Table – both functional and decorative – will claim attention in your interior. Bright nickel finish with clear lacquer protection. Top in glass or marble (various colors).